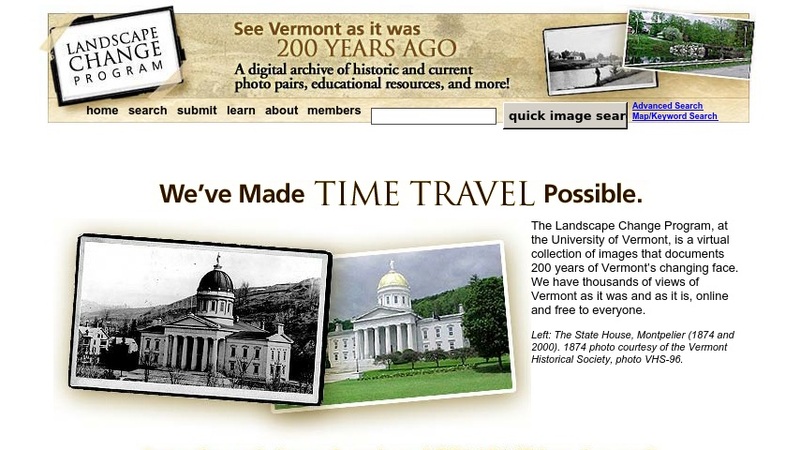 This online archive of historic and modern landscape images documents changes in the landscape of Vermont from the 19th century to the present day. The collection is searchable by county, town, and by a controlled vocabulary of keywords. Where available, historic images are paired with modern photographs, offering direct comparison of present-day landscapes with historic ones. Photos are accompanied by names, dates, a brief description, locality (town and county), and other information.